Supplies: Stamp – Verses, paper – KaiserCraft Havana Nights, Neenah Classic Crest Solar White, Stampin’ Up! Night of Navy, ink – VersaFine Onyx Black, die – Spellbinders, embossing powder – Stampendous Detail clear. Categories: card, encouragement | Tags: card, KaiserCraft, Neenah, Spellbinders, Stampendous, Stampin' Up!, Tsukineko, VersaFine, Verses | Permalink. Oh, thank you, Robbye! Do you want me to send you the card? 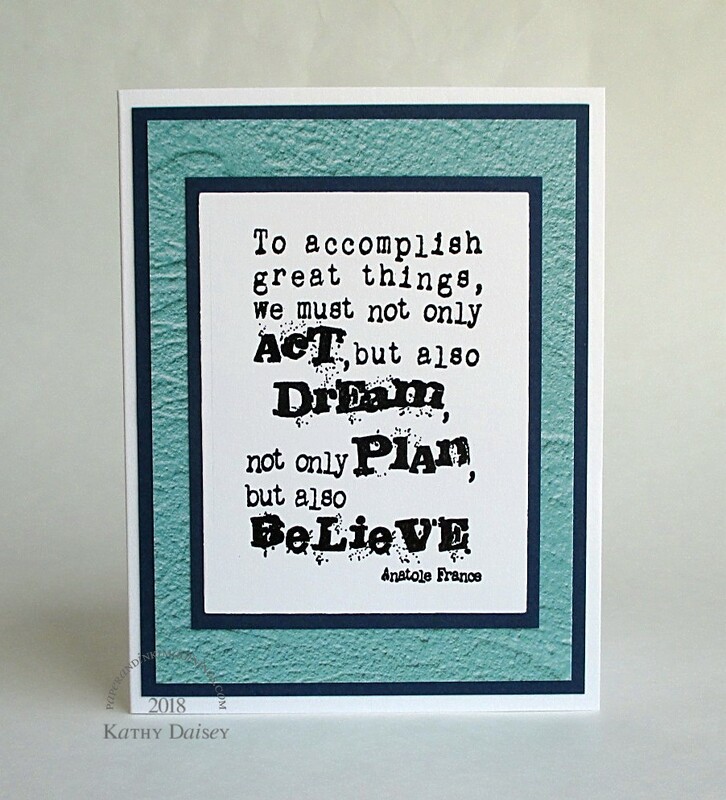 Or some stamped sentiment panels you can use on your own inspirational cards? I would be happy to do either! Kathy, that’s so sweet of you to offer. I think I’ll take you up on the panels. I’ll send you my snail mail. Thank you so much.